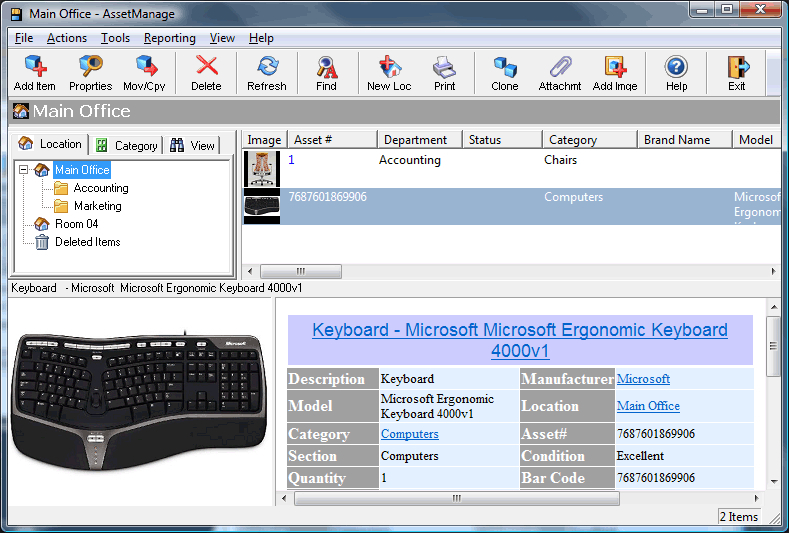 AssetManage Asset Tracking Software 2010 - Download Win Apps. Use AssetManage to keep track of all your Organization's assets and equipment. With AssetManage managing your assets is now easier than ever, keep track of where they are, who they are assigned to. AssetManage keeps track of expenses related to an asset, creates inventories for multiple locations, and lets you attach images, documents and hyperlinks to each asset. Easily generate your own asset tags, kit multiple assets to one parent asset.